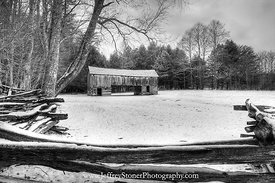 Open fields stretch across Cades Cove below the Oliver’s Cabin. 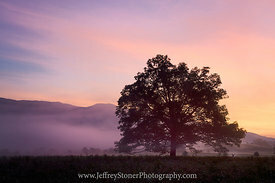 ..John and Lucretia Oliver and their baby daughter moved from Carter County TN to Cades Cove in the fall of 1818. They were the first white settlers in the cove and spent their first night in an abandoned Indian hut. The next day John began building their first cabin at the north end of the Cove since at that time the southern end was swamp...They were alone in a wilderness and afraid of the Indians. They didn’t bring enough food with them and the heavy winter snows made it difficult to hunt. Lucretia believed they would starve to death but the Cherokee they were afraid of brought them dried pumpkin to eat which saved them from starvation. John and Lucretia’s perseverance in the face of great obstacles was the beginning of what would become the thriving community of Cades Cove. 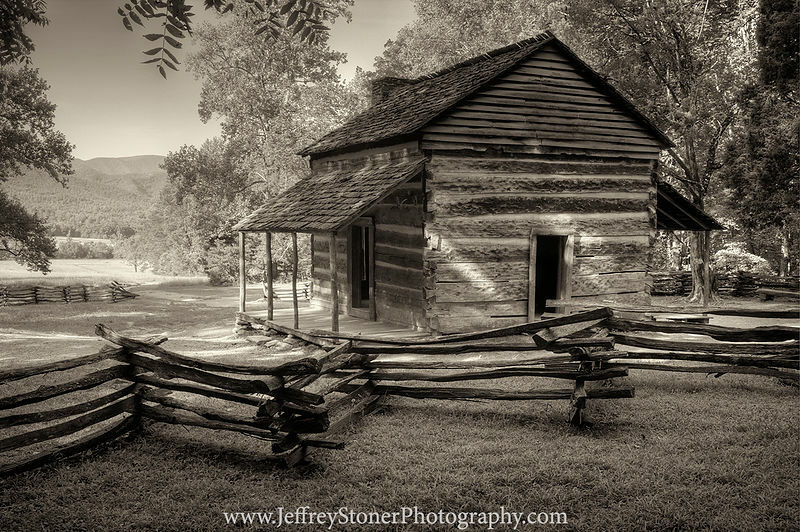 ..The cabin in this image was built in 1820 and replaced their first crude cabin which was located just to the north. .